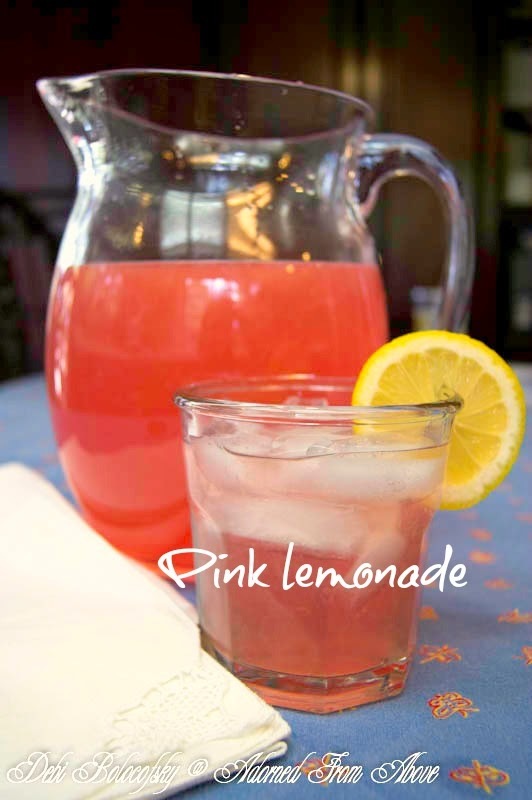 Last week we had Plain Jane Homemade Lemonade, and today we are having Homemade Pink Lemonade. It is so pretty and very tasty, and easy to make. 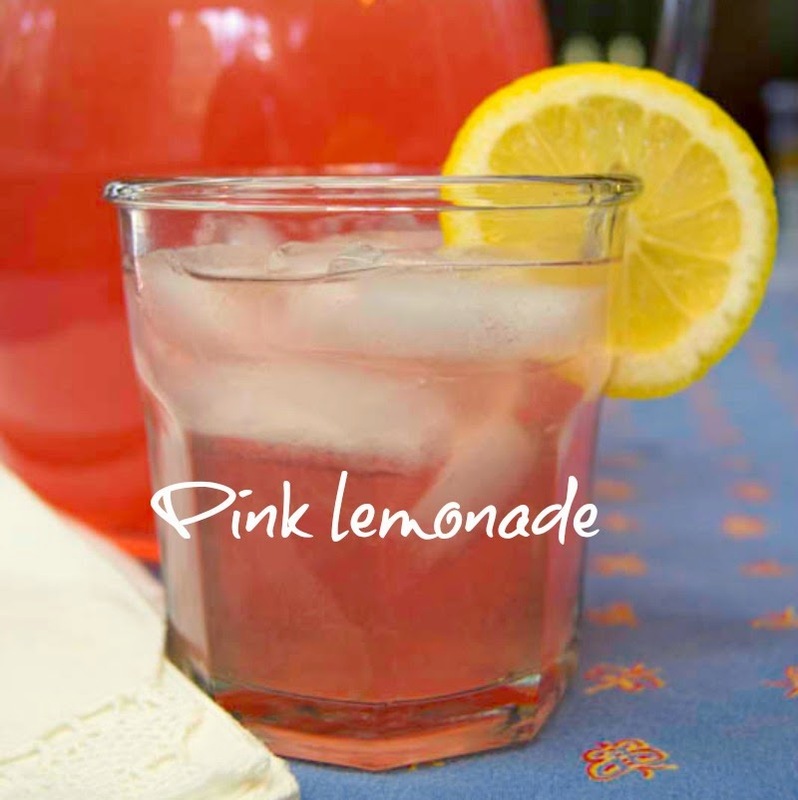 I decided that I would use grenadine in this recipe, because I always think of pink lemonade as being a little sweeter then regular lemonade. A lot of recipes use cranberry juice, but, again, I wanted the additional sweetness. Next add the cold water, fresh lemon juice, and grenadine. I'm making this for my mom's birthday this weekend. I think the kids are going to love it. What a great way to end the summer. I've pinned this one as well. I had no idea that pink lemonade was so easy!